Pay special attention this week to the quality of the greens. They’ll be perfect. Keep the putting surface equally clean with Scotty's newest clip pivot tool. 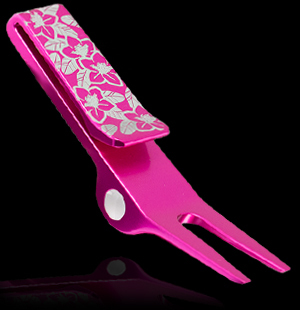 Designed to make ball mark repairs easy, our new Azalea design in bright dip pink is as functional as it is fashionable. Released to Club Cameron members on April 9, 2019.